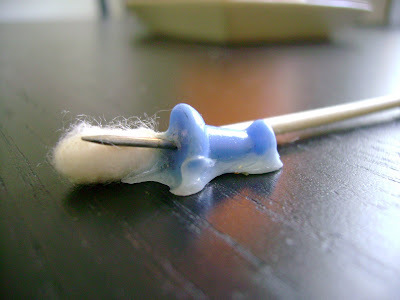 b) connect your q-tip to the melted plastic mess. I like this picture because it could only represent my bike cleaning system- q-tips and push pins. I have a new-found respect for the power of the degreaser. However, that is still pretty cool.